Sometimes, occasionally… okay, almost never – things work out exactly like we plan. Maybe it’s the grander scheme of things. Maybe it’s someone else’s stars aligning – and we’re just playing our part to make that happen. Maybe our “thing” just hasn’t matured…yet – and it’ll be along shortly. It’s like that in the garden. where I had hilled in the seeds. Eight tomatillo plants have decided to finally make an appearance. I’m kinda stoked. Immediately the gears started to turn… purple tamales….. Anyway, it’s still too early to tell whether they will produce. But if even one does well I’ll make sure you are all damned tired of off colored Mexican food before it’s all said and done. Five initial potato plants. I’ve pushed the runners down and covered them with a garden soil mixture. That should give me at least 10 plants to harvest later in the season. These are either Yukon Gold or Kennebuc. I have no idea which until I unearth them this fall. 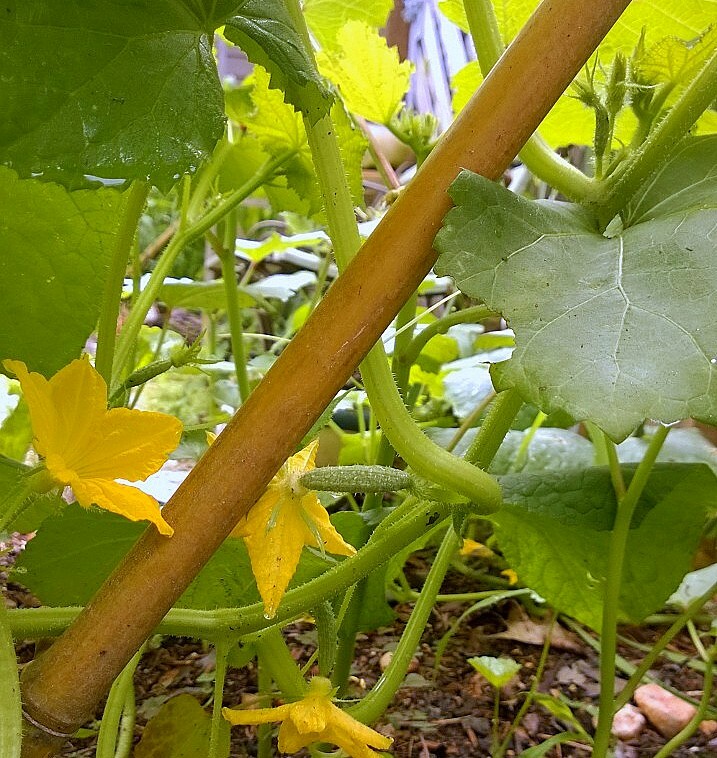 I have a saying – “Plant one cucumber vine and you’ll eat well all summer. 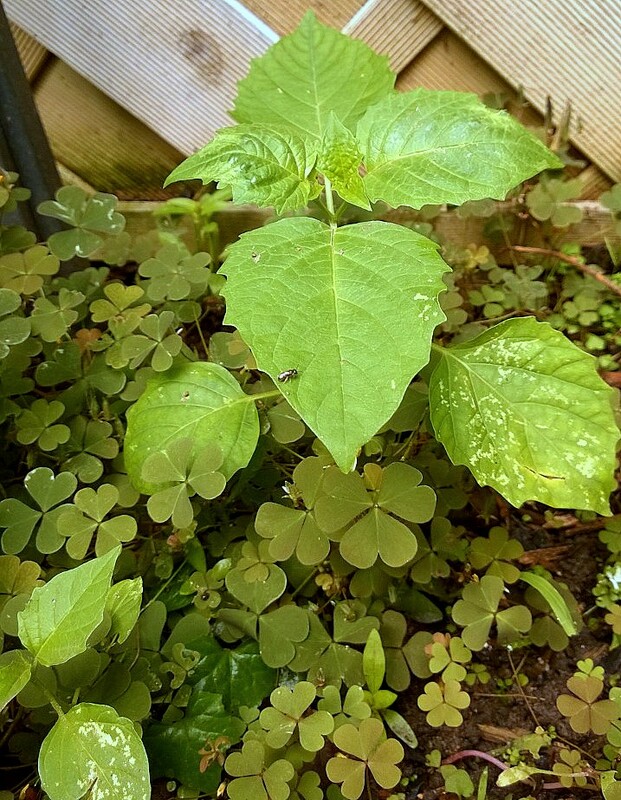 Plant four, and you can annoy everyone you know for months.” I planted 4 vines last year. I was bloody tired of cucumbers well before the plants finished producing. Consequentially, many of the vegetables matured and rotted on the vine… I ignored them, and this spring I turned the soil under to ready it for okra planting. I now have okra… and four more cucumber vines that sprang up from last year’s seeds. If you want some… I’m making a list. popping up in it’s old haunt. Parsley isn’t something I mind having a lot of, so it’s a winner, winner all around. 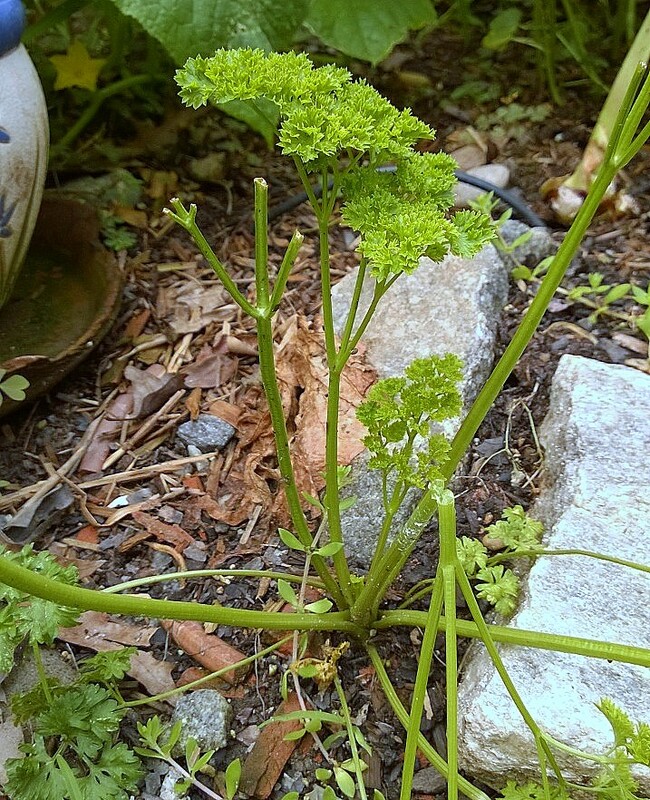 Speaking of herbs…. last year I had a tangle of chocolate mint and oregano in a bed that had gotten out of hand. 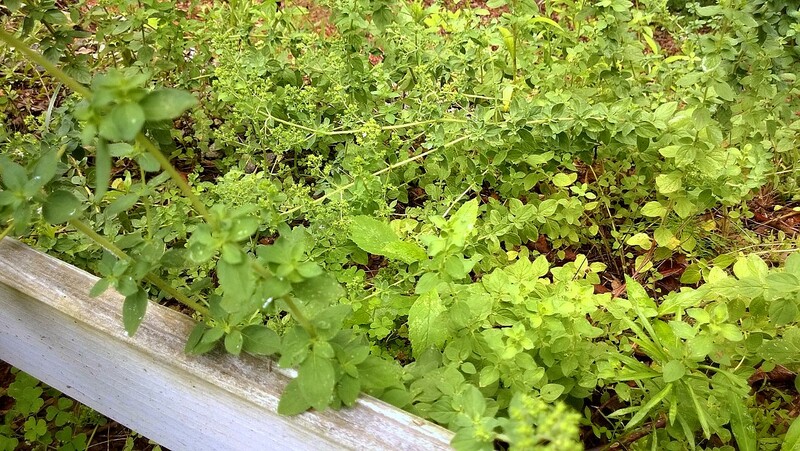 The mint took over and the oregano was always sickly. I spent the fall pulling it all up and just tossed it into an area I use for garden debris. The oregano has taken over the bank. I have no idea what happened to the mint. 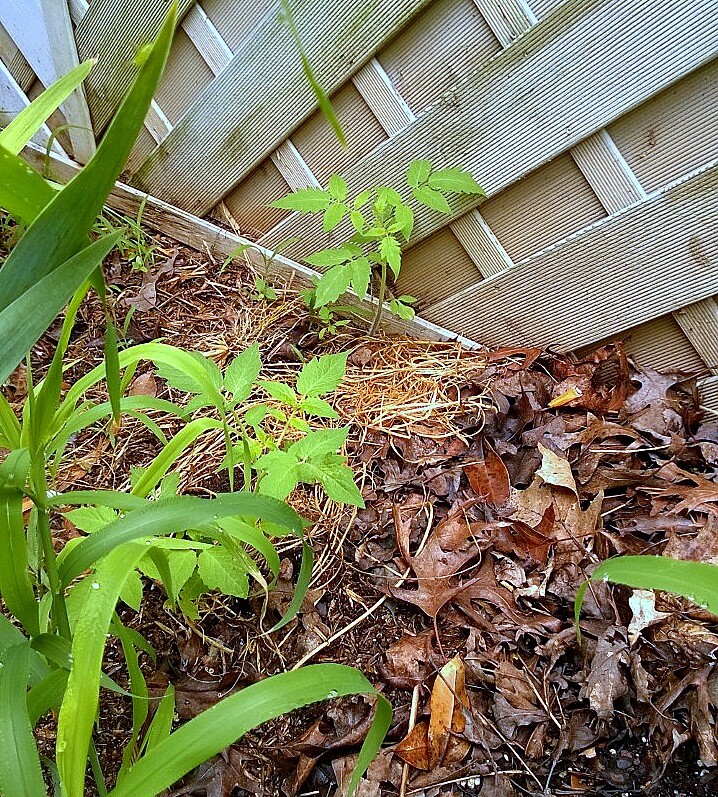 Volunteer tomato plants. I have no earthly idea what they are. Presumably, since I grew hybrids last year, they’ll end up being some sort of cherry tomato. We’ll just have to wait and see… I guess. 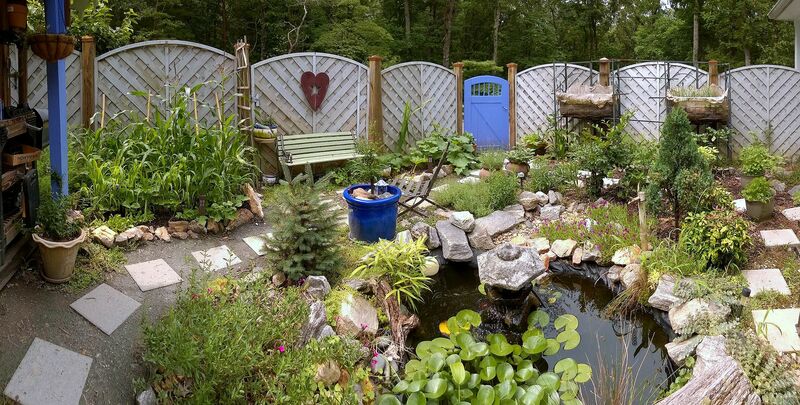 The second installment of the garden volunteers. This time we’re talking vegetables.